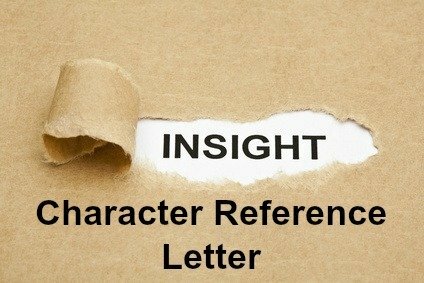 This informative personal character reference letter provides the reader with a reliable overall picture of the individual. It can be difficult to write a character reference for the first time. This sample reference letter clearly outlines the individual's positive attributes and provides supporting evidence of these qualities. It provides valid information for the reader. Customize the sample character reference letter for your own use. I have known Ben Brown for over 5 years. He is a close friend of my son and I have spent many hours enjoying Ben's company. I know Ben to be a young man of strong moral character who treats others with courtesy and respect. His ability to communicate easily and effectively and establish a definite rapport with people has resulted in a large group of loyal friends. Ben is always willing to help other students with their work and has organized study groups to work on difficult assignments. Ben plays for our local football team where his dedication and enthusiasm are well recognized. He operates as the informal leader of the team, organizing extra practice sessions and motivating players to give of their best. On occasion Ben has looked after our pets while we were on vacation. He proved reliable and dependable in this task and enthusiastically took our dog for walks even though this was not asked of him. Ben earns extra income cutting the grass for a couple of his neighbors and is well known for his energy and cheerfulness. He is a hard worker and his motivation and discipline contribute to Ben's success. I am confident Ben will be a valuable asset to any organization and I recommend him without reservation. If you require any further information please don't hesitate to contact me. When highlighting positive attributes in a personal character reference letter it is far more credible if they are supported by real-life examples. In the letter above the writer uses specific instances to demonstrate the qualities he is referring to. 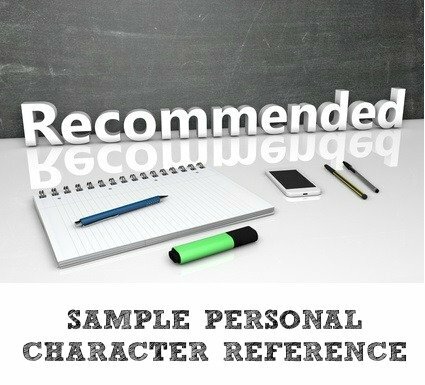 If you are writing a character reference for a specific job opportunity it is advisable to make the recommendation relevant to the job requirements. Go to this sample character job reference to find out how to do this. If you are writing the personal character reference for a job consider these 12 core competencies that are required for success in the great majority of jobs.